It’s no secret that moving to a more plant-centered diet is a good thing for your family. Whether that means making a conscious effort to put more veggies on your plate, participating in #MeatlessMondays or actually going vegetarian, you might need help with vegetarian shopping. I created this guide for my book Eating Expectantly and I share it with you here to support your plant-based journey! Agar: an odorless, tasteless sea vegetable used as a thickener to replace gelatin. Edamame: green or immature soy beans becoming popular at chain restaurants like Pei Wei. You can buy edamame frozen in the bag and they make a great snack. See recipes in the Eating Expectantly Cookbook. Egg Replacer: a vegetarian substitute for eggs made out of a variety of flours and vegetable starches. Hydrolyzed Vegetable Protein (HVP): a protein obtained by acid hydrolysis from any vegetable, including soy. HVP is used as a flavor enhancer in broths, sauces and gravies. Meat Analogue: a generic word for a vegetarian meat substitute. A meat analogue is often made of soy but can also be made from wheat gluten or seitan. Miso: a nutrient-rich, salty condiment made from fermented soy beans, rice, buckwheat or barley. Miso comes in a paste form in light and darker varieties; the lighter varieties tend to be less salty and more mellow in flavor. The intensity and flavor increases with the color. Miso soup is a staple in Japanese cuisine. Nutritional Yeast: a yellow, nutty, cheese flavored inactive yeast that is extremely nutrient-rich. In Australia, it’s sometimes called “savoury yeast flakes,” while in New Zealand it’s called “Brufax.” (Vegemite, though made from brewer’s yeast extract, contains no vitamin B12.) Tasty when sprinkled over popcorn or on garlic bread, in a soup or in mashed potatoes. Red Star Vegetarian Support Formula Nutritional Yeast provides a reliable source of vitamin B12. Just 1 tablespoon provides more than 100% of your daily needs for Vitamin B12, B1, B6, Riboflavin and Niacin. It also provides an excellent source of zinc, selenium and 4 grams of protein in 1 heaping tablespoon of large flakes. Seaweed/Sea Vegetables: There are thousands of types of seaweed—we only eat a few of them. Seaweed is technically part of the algae family and is found in oceans as well as fresh water. In general, seaweed is very nutrient-rich—especially iodine and vitamin K. But—some seaweed like arami, hiziki and kombu should be limited because they can have too much iodine, which can also pose a problem. Some sea vegetables may also contain heavy metals. Seitan: a meat substitute made from wheat protein or gluten. Seitan has a texture similar to meat and also called “wheat meat”. It can be homemade by making wheat dough and rinsing and kneading to remove the starch. You can also buy Seitan—check out Arrowhead Mills Seitan Quick Mix. Seitan is the basis of some deli favorites like “lunch meat”, “not dogs” and “fajita strips”. Tahini: made from toasted and ground sesame seeds, it’s very high in absorbable calcium. Often used in Middle Eastern cooking, as in baba ganoush and hummus. Tempeh: made from whole soybeans and made into a type of “cake” through a culturing and fermentation process. It can be grated and used as a substitute for ground beef, or in chunks or slices. Tempeh can be used in a sandwich, stir-fries or stews. Its taste has been described as nutty, meaty or mushroom-like. Textured Vegetable Protein (TVP): also called Textured Soy Protein or TSP. Made from soy flour, TVP is a high fiber, high protein dehydrated meat substitute. It comes in many forms, from flakes, to nuggets and must be rehydrated before being put into recipes. It works well in chili, soups and tacos. TVP is an ingredient in many processed foods including veggie burgers. Tofu: made by coagulating soymilk and pressing the curds into blocks. 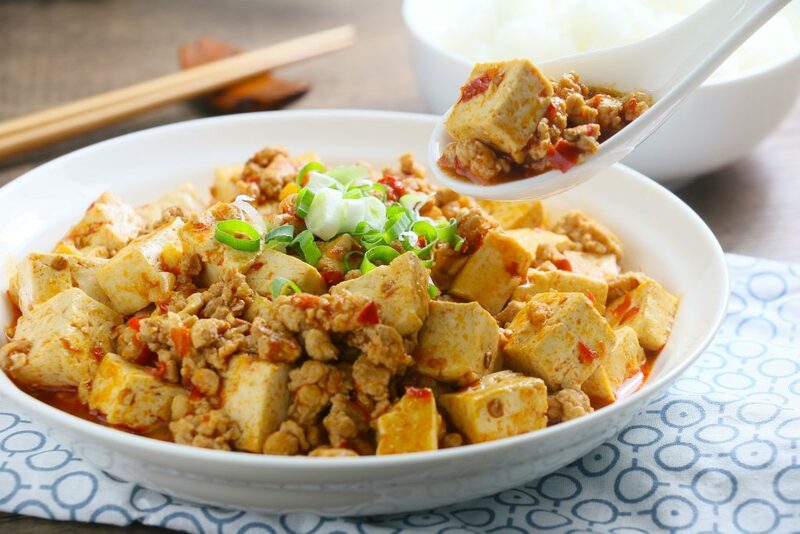 When the coagulating agent contains calcium, it makes the tofu calcium-rich. Tofu is almost tasteless on its own, so it takes on whatever flavor you give it in cooking. There are two types of tofu—silken and regular. Though they both come in firm and extra firm textures, they are not interchangeable in recipes. Silken tofu: also called soft, silk or Japanese style and has a softer consistency than regular tofu. It is often found in aseptic packaging, so you can keep a couple in the pantry. Silk tofu is fragile and can easily fall apart, thus it’s most often used in sauces and salad dressings. Silk tofu also comes in firm and extra firm textures. Regular tofu: also called bean curd or Chinese-style tofu, it comes in a plastic container in water in the refrigerated section of the store. Firm or extra firm regular tofu is perfect for stir-fries, and dishes where you want the tofu to retain its shape. Medium or soft texture is better for substituting for ricotta cheese or to make scrambled tofu. Freezing tofu makes it have a spongier texture and it absorbs marinades better. And if you’re pregnant and going veggie, check out this book–it’s written by the foremost authority on vegetarian eating! Note: This post contains Amazon affiliate links–which means I have used these products or researched them enough to feel comfortable recommending them. 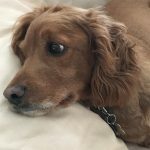 Clicking on these links will help my dog Joey’s addiction to doggie treats!